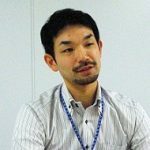 Ryutaro Murotani is Senior Representative of the JICA Rwanda Office. He holds the Master in Public Policy (MPP) from the Harvard Kennedy School. Prior to the current position, he was Research Fellow in development assistance for peace-building and human security at the JICA Research Institute.